Restorative dentistry includes a wide range of dental procedures designed to restore chewing function and beauty to your smile. Restorative procedures typically include dental crowns, bridgework, dental fillings, onlays and inlays, and dental implants. Restorative dentistry is a bit different from cosmetic dentistry because restorative procedures are usually not optional; these procedures are used to heal and repair dental disease. Dr. Jeffrey Johnson and Dr. Jodi Johnson in St. Louis, MO want to help you discover what restorative dental procedures can do for you. Dental crowns provide a protective sheath around your entire tooth, and are usually placed on teeth that are badly damaged or decayed, or have received a root canal. Dental crowns are made from a variety of materials, depending on your preference and the location in your mouth. Your dentists in St. Louis can create your crown from full gold, porcelain-fused-to-metal or full porcelain. Dental bridgework is used to replace a single missing tooth or multiple missing teeth. Your dentists will prepare the teeth adjacent to the bridge area to retain the cemented bridge. Your bridge is created in a dental laboratory and cemented at a second appointment. 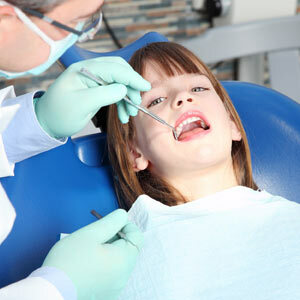 Dental fillings repair holes in your teeth produced by decay or trauma. There are many filling materials available from your dentists, including amalgam (metal), gold or composite (tooth-colored). Your choice will depend on location in the mouth, and whether you desire an aesthetic, natural look. Onlays and inlays are created in a dental laboratory according to exact specifications and models taken of your teeth. They are cemented at a second appointment. Onlays typically cover the entire chewing surface of your tooth; inlays cover parts of the chewing surface. You can choose from gold or porcelain, depending on your preference. Dental implants can replace a single missing tooth or multiple missing teeth. They function as the missing “root” of your tooth and are placed in the office. After a healing period, they are capped with new crowns and look just like your natural teeth. The world of restorative dentistry has changed dramatically, with new materials and techniques produced every year. Your dentists in St. Louis want to help you discover how restorative dentistry can repair your smile and give you back the ability to eat the foods you love. If your smile needs a little work, it’s time to call Dr. Jeffrey Johnson and Dr. Jodi Johnson in St. Louis, MO. Call today and learn more about what restorative dentistry can do for you and your smile!